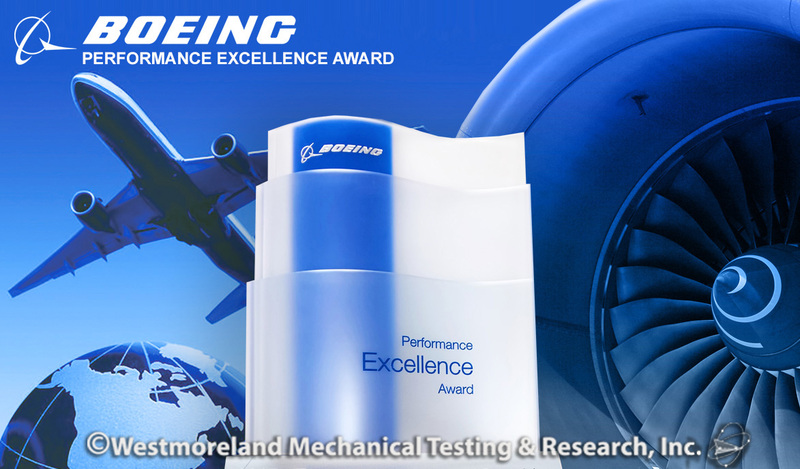 Youngstown, PA, October, 2018 – Westmoreland Mechanical Testing & Research, Inc. (WMT&R) announced that it has received a Boeing Performance Excellence Award. The Boeing Company issues the award annually to recognize suppliers who have achieved superior performance. WMT&R maintained the necessary performance rating for each month of the 12-month performance period. WMT&R is one of only 414 suppliers worldwide to receive the recognition. WMT&R provides Boeing, and other aerospace manufacturers, with a wide variety of materials testing services. Through dedication to innovation and customer service excellence, WMT&R has established itself as a world leader in materials testing. About Westmoreland Mechanical Testing & Research, Inc.